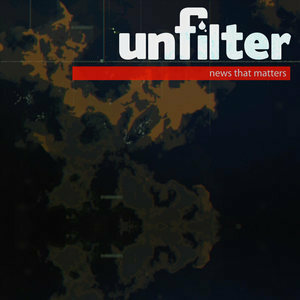 248 episodes of Unfilter since the first episode, which aired on March 6th, 2013. The War on Drugs has never looked more antiquated after receiving a major blow in public opinion, and by the Justice Department. And while the nation moves forward on the issue, ground zero of Cannabis legalization takes a step backward. Terror ALERT! The Obama Administration claims to have intercepted significant chatter warning them to an impending attack from terrorist. Forcing the US to shutter nearly two dozen diplomatic posts and evacuate personnel around the world. XKeyscore has been exposed in a newly released presentation giving us a better picture of the system said to hold a three day buffer of all Internet activity. The birthplace of America’s middle class files for bankruptcy this week, but things are never as simple as they seem. And the Obama Administration has doubled their efforts to protect and defend the NSA’s massive surveillance programs. We call out the corporate media for sensationalized coverage of the George Zimmerman trial while ignoring important stories like the latest NSA revelations. Latin America stands with Edward Snowden as multiple offers of asylum come in, we’ll bring you up to date on the hunt for Edward Snowden and discuss his latest revelations. Obama shrugged him off, but this week the Administrations actions spoke louder than their words as their hunt for Edward Snowden intensified. Edward Snowden dominates the mainstream headlines, as he makes his escape from Hong Kong. We’ll reflect on their continued character assassination and arm you with the critical thinking you’ll need to form your own opinions on his motivations. In the wake of the NSA leaks we’re being told to trust the government with our simple data, it’s the leaker we need to worry about. Edward Snowden takes to the web to defend his name, top officials in US intelligence answer softball questions. A series of leaks have blown the lid of the NSA’s massive surveillance dragnet of the Internet forcing the Federal Government to come clean to the world. We’ll dig into the new revelations, how this could be technically be done. The FBI has started their campaign to make the Internet wiretap friendly which proposes backdoors built into all network services, using existing laws on the books, we’ll break it down. Chinese hackers have gained access to the designs of major U.S. weapons systems, a new report claimed on Monday. But we have a few questions about the timing of this announcement, and how it fits into the bigger picture. The DOJ’s investigations into journalists has expanded, who is the target, and how far is the US government willing to go? We dig into the details. The IRS has admitted it was targeting conservative groups with thug style politics. New and aggressive lines in the battle for gun control have been drawn, and all sides of the debate claim the next battle will be bigger than ever, but we’re just a little skeptical. The CIA has been caught delivering bags of money to the Afghanistan President for years. All in an effort to fuel corruption, and we suspect much more. We’ll share the details.